State Selection Board, Odisha Police published an official notification for Recruitment of Civil Constable and Sepoy for 3743 posts. Eligible candidates can apply for this recruitment. You can view more details about this recruitment including No. of posts, name of post, Educational qualification, Age limit, Selection process, How to apply etc... You can also view official notification and other important facts about this recruitment e.g. Important links and Important dates. 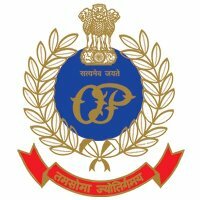 Sepoys / Constables: Candidates who have completed passed +2 examination or equivalent examination conducted by the Council of Higher Secondary Education, Odisha or equivalent from a recognized Institute for Odisha Police Recruitment 2018. Candidates must pay Rs.50/- as Application Fee and Rs.150/- as Examination Fee. Fee can be paid through Bank Draft/ Postal Order drawn in favour of Concerned Commandant of the Battalion/ DCP (Security) of Spl. Security Battalion (for Sepoys/ Constables) OR Concerned Superintendent of Police of the District/ Deputy Commissioner of Police (Hdqrs), Commissionerate, BBSR (for Civil Constables). Final Selection will be based on PET (Physical Efficiency Test), PMT (Physical Measurement Test), Written Test & Interview.